By Faith, Not By Sight is the autobiography of American Idol contestant, Scott MacIntyre. When he was about fourteen months old his mother knew in her heart that Scott wasn’t acting right and something was wrong. She told her doctor who claimed she was overreacting and he told her repeatedly that her son was fine. The doctor kept reminding her that he was her first child and she should stop being anxious and worried so much about him. And it turned out that his mother was without a doubt précised in knowing something was wrong with her child’s eyesight. A few months later the doctor declared he was born blind and they ran numerous and they couldn’t figure out what caused the blindness. His story is about living and still going after your dreams despite what you are up against. At an early age, he began to learn how to play the piano and learnt to play music by ear. God started opening doors for him and his first gig was a wedding. The mother of the bride worked in public relations and called in a favor to have a story piece done on Scott’s gifts of playing the piano. She scheduled to have CNN to attend the wedding and do a special piece on Scott’s playing. Since he was born blind his mother stood by his side telling him when to play and when to stop the performance. During the wedding his mother made him play the song over and over again and he couldn’t grasp why. Shortly he discovered that the bride fainted and they had trouble waking her up. Even though he was born blind God still have a wonderful plan and purpose for his life. The book then goes on the discuss he won a scholarship to Cambridge University in England. During testing before the overseas expedition, he was diagnosis with a rare kidney disease and he would need a transplant. The book is about the struggles and challenges Scott had to encounter and face with being born blind, kidney disease, and American Idol journey. He chose to have a display of Faith in believing that God is able to do incredible things beyond what we can humanly see possible. I would recommend this book to anyone who needs encouragement in their walk of Faith and they may doubt that God still cares and loves them for who they are. If you’re seeking healing and want an inspirational story about overcoming sickness and challenges then this book will impact you at the seams and it will touch your heart. The book is packed with examples of walking by your Faith in the Creator and not by what you currently are able to see! This book is also for people who are endeavoring to achieve their dreams and it’s imperative to remember that God has always so much more in store for us then we can even envision for our lives. This book has activated my Faith into believing that God will heal sick bodies, souls, and emotional problems and His power has never left His hands. He is in face able to do it! Scott personally had a lot of situations to conquer and triumph over but he didn’t let his blindness or sickness take over his life he still went after his dreams! Aftermath is a book written to aid people who are grieving the tragic loss of a love one. Many times we spend a tremendous amount of time asking why we had to lose them and why they couldn’t have stayed when we needed them still. Margaret McSweeney has firsthand experienced the pains and hurting of grief. In her book, she has provided readers with the different stages of grief and they are denial, anger, bargaining, depression, and acceptance. She lost her father suddenly right before she was supposed to be getting married to the love of her life. That is enough throbbing pain in itself to burden and weight anyone’s soul and body down. Her mother wrote numerous of poems to deal with the grief of losing her husband. A few years later she lost her precious mother to cancer and later she also lost her brother to a heart attack. Margaret has had to endure and embrace her pain of losing three people she loved deeply. Her book will walk you through the valleys of grief and bring you encouragement. I have personally have lost an aunt to the deadly disease of cancer. It was extremely hard watching someone grow weak and weary with the cancer taking over their body. Then I witnessed her only son going through the emotional pain of losing his mother when he was a teenager. Another painful time was when I was a teenager and my parent’s house received a phone call at 3 a.m. and it was my father’s mother saying she woke up and saw her husband with his head on the table. He was found dead. I can’t tell you the fear I feel now when you hear the phone ring when you’re a sound asleep in the middle of the night. And now the first thought you begin to think is that someone you love has passed away even though sometimes it’s just a wrong number calling your house. We rushed over there and the coroner still hasn’t removed the body yet and I still have that image of seeing my grandfather on the floor. This book has helped me into learning how to heal and accept the death of my loved ones. I would recommend this resource for anyone who is experiencing the effects of grieving the lost of loved ones. No one is luckily enough to escape having to encounter the stages of grief and losing someone you love. At some point in our lives we will have to face and receive the dreaded news. The process might be stressful, discouraging, and depression might settle in but our hope comes we will see our loved ones again. I immensely enjoyed the discussion questions at the end of each chapter they will benefit in writing down what you are feeling. The scriptures that Margaret shared were such an accommodating feature of the book. The Bible verses had the impact of bringing personally recovering and healing from the trials and heartbreak of grief. If you’re struggling to find hope again after losing someone you profoundly loved and care for this book will supply much needed comfort. “I received this book for free from Litfuse Publicity Group/ New Hope Publishers for this review”. Loss is a four-letter word that grips our hearts and gridlocks our lives. Grief can hold us captive until we surrender it to God. How do we find the necessary grace to journey through the mourning process? Juxtaposed to the outpouring of her mother’s words about grief, the author shares her parallel journey from the emotional abyss of grief after becoming an adult orphan. With candor, the author shares her own emotions experienced along the spectrum of loss after her parents’ deaths: denial, anger, bargaining, depression, and acceptance—adding interactive options for readers. • tangible handles on dealing with grief during holidays, capturing loved ones’ legacy, and more. Margaret McSweeney is a well-published author often writing online articles for Make It Better (the former North Shore Magazine) and freelance articles for the Daily Herald, the largest suburban Chicago newspaper. In addition, she has authored and compiled several books including A Mother’s Heart Knows; Go Back and Be Happy; Pearl Girls: Encountering Grit, Experiencing Grace and most recently, Mother of Pearl. Margaret has a master’s degree from the University of South Carolina in international business. As is the founder of Pearl Girls, Margaret collaborates with other writers on projects to help fund a safe house for WINGS, an organization that helps women and their children who are victims of domestic violence, and to build wells for schoolchildren in Uganda through Hands of Hope. For the past 10 years she has served on the board of directors and leadership advisory board for WINGS. Margaret lives with her husband and 2 daughters in the Chicago suburbs. Learn more about Margaret and the work of Pearl Girls at www.margaretmcsweeney.com. In The Power of the Prophetic Blessing, John Hagee wants people to comprehend and appreciate the importance of blessing your life, your wife, your children, and your grandchildren with the blessings from the written word of God and speaking the blessing aloud over their lives. John Hagee’s father prayed and declared the blessings over John’s life and everything he spoke came to pass. John Hagee also continued the passing of the blessings over his children and everything he spoke from the Bible was surpassed in his children lives. John Hagee has experienced the power of releasing the blessings and his new book will benefit readers into learning how to speak blessings over your life and your family lives. The first blessings occurred when God created, sculpted, and molded together the first human from the dust of the Earth and he named him Adam. Next he put Adam into a deep sleep and he took a rib out of the side of Adam and constructed his wife, Eve. He blessed Adam and Eve told them to be fruitful and multiply consequently this created generations from then to now. This blessing is for all men and women and we are commanded and blessed when we are procreating, multiplying, and having descendants. This blessing is known as the Genesis Blessings. Subsequently the next blessings in the scriptures are specified to Esau and Jacob. Esau is the oldest child of Isaac. The older child is supposed to get the biggest blessings of the family but Jacob tricked and pretended to be Esau. Isaac gives Jacob Esau blessings and once a blessing is spoken it can’t be taken back. Esau has to receive the heartbreaking news that he will have to serve his younger brother everlastingly. God changes Jacob’s name to Israel and he commanded and affirmed Israel to be fruitful and reproduce and God would provide the territory for their descendants. This book covered the Genesis Blessing, the Abrahamic Blessing, the Priestly Blessing, and the eight Prophetic Blessings of Jesus. The blessings from God are for all Jewish believers who are God’s chosen people. By the grace of God when he died on the cross he extended His love and blessings to the Gentiles. This means that God will give us His favor, protection, healing, prosperity, and blessings. It’s imperative that we partner and pray for Israel to prosper and for peace to be fulfilled throughout their land. I immensely enjoyed reading this excellent outstanding new book by John Hagee. I have seen the significance of being the spiritual authority of my household and I must lay my hands on the top of my wife, children, and grandchildren heads and speaking the blessings out loud over their lives. The book hit me with great revelations of watching what I speak about my children’s future and I now realize the impact I have as a father of influencing their lives. I can encourage and build their self-esteem with the words from our Father or I can choose to let the world annihilate them with their words. I am choosing the encouragement road! The book had proclamations to speak over your children and grandchildren, your wife, your business, health, and healing, in a time of testing and trial, emotional stability, favor of God, and divine prosperity. These proclamations have helped me to see what I can pray and verbalize over people’s lives and they are scriptural. This section of the book is eye-opening and it is changing the lives of my family generation and it can change yours too. I will be keeping this book in a safe place to refer back to the material often. I currently don’t have any children or a wife for that matter. But the moment when I return home from my career and my wife is taking a pregnancy test and the results declare it’s positive and there’s baby or babies on the way. As husband and wife, we will be joining and placing one of each of our hands on her stomach and with the other praising God and speaking and releasing the blessing over our child(s) every single night. This will continue even after they are born! This is a lifetime decision to commit to bless my family daily. I will be reading this magnificent trilling book again with my wife and then with my teenage sons and daughters. The book will change your life like it has mine if put into practice. The blessings from Heaven are waiting for you get ready to learn how to release them! "I received this book for free from Worthy Publishing/Handlebar Marketing for this review". John Hagee is the author of four New York Times bestsellers, in addition to Jerusalem Countdown, which sold over 1 million copies. He is the founder and senior pastor of Cornerstone Church in San Antonio, Texas, a nondenominational evangelical church with more than 20,000 active members, as well as the founder and president of John Hagee Ministries, which telecasts his radio and television teachings throughout America and in 249 nations worldwide. Hagee is also the founder and national chairman of Christians United for Israel, a grassroots national association with over one million members to date. Live to Give is a book about unpacking and discovering and using the gifts and talents God has graciously given to you. We all have received different gifts from our Creator and it’s vital we don’t spend our time and energy envying other person’s gifts. Like most teenagers, Austin Gutwein has struggled with comparing himself to other people appearances and gifts. He always hated his freckles and he had trouble going outside because if he was outside to long his skin would sunburn. He believed and sometimes felt like he wasn’t good enough to make a different in the world. He eventually rose above and decided to get involved with using the gifts God has bestowed to him. At age nine, he started an organization called Hoops of Hope. He initiated a plan to shoot baskets in order to get people to donate to his cause and outreach. He even stated that he missed quite a few shoot when he played basketball but he used what little God has given him and God took him to another level. He has raised over three million dollars for communities in Africa. Austin Gutwein polled random sampling to gather data about what people feared in their life. The majority from the sampling responded that their biggest fear was being unaccepted by others. I also agree that is probably my biggest fear that I have had to endure and deal with. I found the interesting study that Austin conducted to be very enlightening and extremely supportive in the overall concept of the book. Another aspect of the book he shared was about bullies who will try and persuade you to keep you from rising higher and accomplishing your vision of helping other individuals. Most of the people who criticize you are doing so because you are making a difference and using your gifts for the greater good. The bullies are feeling bad because in their hearts they are ignoring the call for them to actually join and support a cause. It’s far easier to complain and demean than it is to unite in on the mission. Austin Gutwein personal story is a huge encouragement to teenagers, young adults, and adults to never perceive and believe that they are too young or too old to make a different in the lives of their communities and countries. I would recommend this book to all age groups who need encouragement and inspiration about the power of one changing the world. The book is written towards the audience of the young teenagers but older adults would still enjoy and benefit from this book. His story will reveal the importance of reaching out to the desperately hurting individuals around us and strangers we haven’t even met. God has entrusted us to be a blessing and to give ourselves, our time, our money, our love unselfishly! It’s up to us to discover and use what God has given us! Want to do something for God but don’t know what? Want to help others but don’t know who? Want to know what it is you’re really good at doing? Your gifts may feel small and insignificant. But God can use them to work a miracle! Inspired by the biblical story of the feeding of the 5,000, "Live to Give" delivers a message of hope that we all have something to give. Written in the down-to-earth, candid voice of the gifted young man who as a kid founded a relief ministry that has saved and improved countless lives in Africa, "Live to Give" is the message that every teen needs to hear: You are more special than you know, and you can do big things. Jesus proved that no gift is too small when He used five loaves and two fish to feed a crowd of thousands. And if no gift is too small, too ordinary, or too random, there is no limit to what the youth of today can accomplish! A teenage philanthropist who has built a high school, two medical clinics, and a dormitory in Africa—all before the age of 16—Austin Gutwein shares how to take what may seem like the simplest of talents, gifts, and interests and use them for something Jesus can use to move mountains. As founder of Hoops of Hope, Austin started what is now known as the worlds largest Free-Throw marathon. Austin's Hoops of Hope has raised more than $2.5M to help orphan children in Africa. Austin also serves as Co-Chair of Arizona Governor Jan Brewer's Youth Council. As a highly sought after speaker, Austin has spoken and shared his heart in venues around the world. In 2009, Austin was selected into the Caring Hall of Fame as one of the top 10 most caring Americans. Austin's first book, "Take Your Best Shot" shared stories that captured readers hearts and won a Moonbeam Award. For information on booking Austin or general inquiries, please visit austingutwein.com. "Get and Give" Campaign! Win a Kindle Fire from @AustinGutwein and have $250 donated to the Charity of your choice! Austin's new book Live to Give is about "Letting God Turn Your Talents into Miracles"! Celebrate with him by entering his "Get and Give" Campaign - you could win a Kindle Fire for yourself AND Litfuse will donate $250 to the charity of your choice! Hurry, the giveaway ends on 8/25/12. The winner will be announced on 8/27/12 on the Live to Give Landing Page! Just click one of the icons below to enter. Tell your friends about Austin's giveaway on FACEBOOK or TWITTER and increase your chances of winning. In Relentless Pursuit, Ken Gire described his background of believing and feeling like he was an outsider. He was picked on by bullies for his red hair and wearing glasses. His father was very strict on how he dressed, his hair length, and he wasn’t allowed to go to parties with his friends. His brother told him that he thought he had ADD. He felt like an outsider the majority of his life and he wanted to gain acceptance and be included. Ken Gire wrote this book to help readers to always remember that God is actively pursuing them even when they fail. He doesn’t run away screaming and you aren’t forgotten. He told the story of Jeremiah about how God is like a lion hunting us down and destroying and messing with his life. Jeremiah felt that God wasn’t listening to his prayers and he wasn’t seeing any of his prayers answered. He clarified that he perceived that God was using him for target practice and arrows were being shot at him. Then in later verses Jeremiah rises up and declared that God is the only person he truly needs. How many of us aren’t sometimes feeling the same way? It’s imperative to that we keep in mind that no matter how far we may choose to run or hide God is already there. Jesus never turned away people who were outsiders and loners. He would constantly stop and assist prostitutes, people with leprosy, blind individuals, and people who were down and out of the critiques. Jesus himself was an outsider and rejected by many people but Jesus still gave His time to spend with them. He loved them for who they were and he looked deeper into what they could become. I would recommend this book to anyone who believes that they are an outsider and they are unloved. This resource will provide you with countless different characters in the Bible and historical examples of people who were considered outsiders but God was vigorously pursuing them, despite how they viewed themselves. I especially connected with how Ken Gire went into detail about how Jesus goes after the lost sheep and the outsiders. Jesus illustrated the story of The Good Shepherd and how he went after the one sheep that gets lost. The shepherd will leave his flock of sheep to explore the land to look for the one lost sheep. Because the one sheep means to the world to Jesus! In this parable, we are the sheep and Jesus is never leaving our side even when we think we are forgotten. The truth is God wants to hold and protect you when life comes against you. Ken Gire is a huge encouragement to people who are struggling to love themselves completely! The book has brought freedom to realizing that God is listening and hearing my prayers! In Greater, Steven Furtick provided clarity on believing that Christians will do greater things for God’s kingdom through the power of Jesus. God wants us to be willing to assist the wounded and the hurting. Steven Furtick encouraged readers to not settle for mediocrity living but to achieve and go after the greater lifestyle. He articulated his point by describing how the Prophet Elijah was told by God to employ Elisha as the next prophet after him. Elisha was a common man plowing a field with his oxen and living a boring mediocre life. His job wasn’t fulfilling him and he never believed that he would ever leave his current circumstances. He thought he would die where he was currently at. But God had a different plan for Elisha. Elijah arrived and took off his own cloak and put it on Elisha. This signified that Elisha would become the next prophet of the land and he had the blessings of God on him. Then Elisha stopped working and he proceeded to go burn his plows and he butchered the oxen and fed his community. He left everything behind to move forward into the purpose God has ordained for him. Many times before we travel to the next destination in life we have to leave things behind that would hinder our next level in life. Surrendering our ideas can be challenging and difficult but it leads us to the greater life in store for us once we finally truly let go. Waiting on God to tell us how it will happen and work out in the end leaves us waiting forever. Burning our plows that are holding us back is the first vital step to attaining our destiny. I especially related and connected to the personally story that Steven Furtick demonstrated by speaking life giving words into his three children lives. He informs and reminds them daily all much he loves his children and how special, awesome, handsome, beautiful, and other life enhancing words that truly are. He always tells them, “My daddy says I am”. He does this in hope that it will instill confidence when a bully or someone else tells his children who they are. I personally see the greater impact it will have on his children self-esteem. Numerous fathers and mothers could change and shape the direction of their children lives if they would initiate in the importance of doing this. Another aspect to remember is to not assume that your children already know how much you love them and what you think of them! You need to speak out positive words over your children lives and don’t leave it to the world to portray the valve of your children and what their future holds. I have already decided that I will be captivating this parenting method when I have children. I now realized that the greater husbands, fathers, and friends aren’t afraid to share their emotional side by revealing to their children the truth they desperately need to hear. I would recommend this astonishing book to anyone who desires to live the greater life and they are sick of just barely surviving and going through the motions of every day living. Steven Furtick has shown me the impact of removing and destroying our plows that are holding us back from chasing after our dreams. When we leave things behind we tend to deem we might be seen as a failure. But the payoff of believing John 14:12 that we can do greater things than Jesus is worth trying and knowing, we won’t have to live with regret of what could have been if we would have tried! Apart from Jesus we aren’t able to finish and complete greater works but with his loving hand we can. This book will open your eyes to distinguishing what the greater visions, dreams, relationships, careers, and works that God has that he wants to see you carry out for His glory. Reading this book has increased my expectations of everything God will be able to accomplish through me! And the greater life isn’t just for me God wants to use you too! Let’s burn our plows and go after everything God has for us! 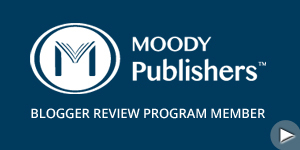 “I received this ARC copy for free from WaterBrook Multnomah Publishing Group for this review”. 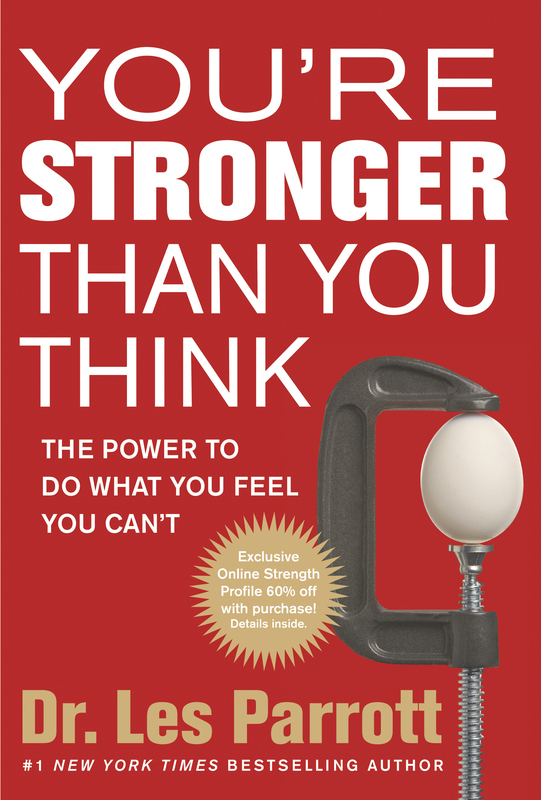 In You’re Stronger Than You Think, Dr. Les Parrott investigated the concept of the supremacy and power of your mind, heart, and soul. He attested the importance of understanding the process of clearing your mind from the thoughts that are overwhelming you and holding you back from freely living. Many times, we over think events and situations before and after they occur. When we are trying to figure out something we must be careful not to confuse ourselves where we lose our focus on living in the present moment. Peaceful living is obtainable only when we clear our minds and listen to what God is conveying to us. God speaks when we depart from the busyness of our lives and are focal point is on Him completely. Dr. Les Parrott shared a personally vulnerable story about the close call of almost losing his first son. His wife has to be put on bed rest when she was three months pregnant. The doctor stated a parent’s worst fears that the baby wasn’t growing fully and there is nothing they can do. The doctors decided for the health and safety of the mother and child to prematurely deliver the baby. The baby boy was born three months early and weighted only about a pound. The baby boy eventually was released from the hospital and he is fine today. Parrott had to realize that life is unpredictable and he had to surrender control over to the Lord. He recognized that he had to admit that he was broken and weak. Denying that he wasn’t feeling pain wouldn’t have allowed him to confront and heal from his heartache. He believed in the aspect of admitting your weaknesses that you struggle with. We won’t be able to change if we refuse to see the truth! I would recommend this magnificent resource to anyone who is afraid to be their authentic self. It’s vital that we learn to take off our masks many of us hide behind. Letting fear keep us from displaying our deepest feelings and ideas to others prevents us from acquiring intimacy in our relationships. I immensely benefited from the story about how a man was boarding a train illegally and he accidently picked the boxcar that was refrigerated. The door boxcar door closed and he was trapped and he couldn’t escape the boxcar. The man believed and expected that he would freeze to death. He became what he believed and he was found the next morning dead. The boxcar refrigerator stopped working and it wasn’t even on. In fact, the temperature of the boxcar was over fifty degrees. But his body reacted as if he was freezing to death and that led to him dying. If that doesn’t make you want to start expecting and believing better thoughts, then I don’t know what will. I now see how our thoughts can affect us as individuals since we are the only ones who can change what we believe. Believing the scriptures promises provides assistance in conquering our doubting and negative thoughts. This book has made me realize that I am in fact stronger than I have perceived myself to be! If you want to learn how you already are capable of overcoming your weakness, than this book is written just for you! 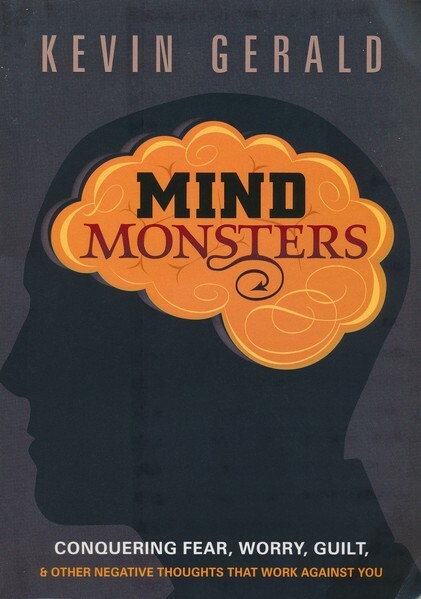 Mind Monsters is written to assist readers into winning the battle against negative thoughts and imaginations. Kevin Gerald described that thoughts are like a train that we choose to board. Thinking wrong thoughts don’t benefit us they only hinder us from truly living freely. Faith surmounts worry, fear, condemnation, shame, confusion, and any other negative thoughts. Being positive and believing the best all comes down to focusing on the correct thoughts. Expecting the worst to happen steals your joy, happiness, and your life. Kevin Gerald has had his own share of casting down wrong imaginations. When he travelled to Bermuda, his family was involved in an accident that threatened to annihilate his family. He asked the question most of us ask tend to ask when bad circumstances occur. “Why did this have to happen to me and my family?” He had to believe God’s word that declares that God has astonishing plans to give us a future and a hope and he doesn’t want us to have to face destruction. Satan is the author of bringing impairment to Christ’s followers. This book will illustrate to readers on how to reject the lies of the enemy and how to replace the lies with the truth. I connected to the notion that Kevin Gerald presented about the importance of your internal dialogue and how it effects where and how you are handling a situation. He portrayed a story about if you’re lost in the forest, and you hear something in the brushes and leaves, and you automatically perceive it to be a bear. In this particular story, one person would believe it is a bear and then another could assume it is a bird or another creature. Only one who be right but it all initiated in what we chose to assume and imagine! Our internal dialogue and what we keep repeating to ourselves reveal how we distinguish frightening circumstances. This story is shared to help readers to realize that we can control our thoughts and what we believe to be true. Mediating on the Bible helps us to fill our lives with truth from the word of God. It can literally change our lives! We can make ourselves happy and live fulfilling lives by focusing on positive thoughts about the present and the future. Or we can curse our lives with thinking about everything that is going wrong or could go wrong at any moment. Another aspect to remember is what we are thinking will ultimately come out of our mouths. It first started with a thought then it manifested as a spoken word! I would recommend this marvelous book as a resource to use to guide readers into being more alert and aware of the kinds of thoughts they are thinking on. If you’re struggle with controlling the negative thoughts you are dwelling on, then this book will greatly benefit you like it has me! I immensely enjoyed the concept of thinking about who you want to become. Thinking about how afraid, depressed, hopeless, and guilty you feel isn’t going to produce happiness and joy in your life. Only thoughts that line up with the truth of God’s written word is going to radically benefit you. People who see the positive in their situations are focusing on positive outcomes. You can’t be negative and expect to become more positive and strong! This book has helped to recognized what I have been thinking about and believing about myself and others. Casting down the erroneous variety of thoughts requires a lot of determination to keep reshaping the negative thoughts into positive ones. Reading this book will help you to succeed in the battle of overcoming your negative imaginations!